Mt 5:17 Think not that I am come to destroy the law, or the prophets: I am not come to destroy, but to fulfill. 18 For verily I say unto you, Till heaven and earth pass, one jot or one tittle shall in no wise pass from the law, till all be fulfilled. 19 Whosoever therefore shall break one of these least commandments, and shall teach men so, he shall be called the least in the kingdom of heaven: but whosoever shall do and teach them, the same shall be called great in the kingdom of heaven. 20 For I say unto you, That except your righteousness shall exceed the righteousness of the scribes and Pharisees, you shall in no case enter into the kingdom of heaven. The New Covenant is founded upon the oracles God gave to Israel through the Old Covenant, which is now fully empowered and realized through Jesus as the Lamb of God. If believers were properly taught these oracles they would understand that the morally defining aspect of The Law of God was given to define exactly where we were failing to “do justly and love mercy, and walk humbly with your God.” This aspect of the Law is the part that “till heaven and earth pass, one jot or one tittle shall in no wise pass from the law, till all be fulfilled.” Since heaven and earth have not pass away, it is still valid until “all be fulfilled,” and “all” being the fullness of God’s plan of bringing many to perfection and clothed with glory and immortality. The second aspect of the Law was the prophetic ceremonial part including the Temple, priesthood, sacrifices and oblations that were but shadows things to come, all pointing to Christ death and ministry on our behalf and things still within the heavenlies. Just as one may hold their hand above a table and see its shadow below, so to were those prophetic ceremonial parts of The Law witnesses of something yet to come. 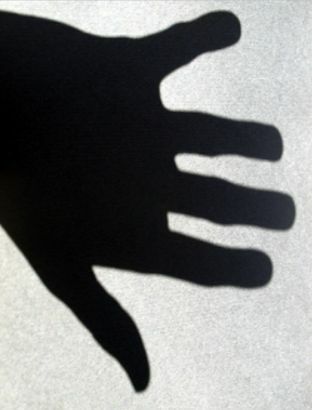 But when Christ came and died, they were fulfilled and ceased validity of practice and just as placing ones hand on the table would take the place and form of the shadow cast by the light above and hide it. Christ having come and died brought an end to this aspect of the law because it had no more prophetic value. After Christ’s death if one were to offer a lamb as a sacrifice such sacrifice would declare that the Redeemer had not come, this is a lie. That is why if a believer in Christ who had acknowledged Christ as God’s sacrificial lamb whereby they were cleansed from their sins, that if they returned again to offering again animal sacrifices it was a serious offence. Such sacrifices would be sacrificing Jesus Christ afresh putting Him to an open shame. Heb 6:4 For it is impossible for those who were once enlightened, and have tasted of the heavenly gift, and were made partakers of the Holy Ghost, 5 And have tasted the good word of God, and the powers of the world to come, 6 If they shall fall away, to renew them again unto repentance; seeing they crucify to themselves the Son of God afresh, and put Him to an open shame. Paul declared the glorious news of the Gospel in Romans, “what the law could not do in that it was weak through the flesh,” meaning the flesh of bulls and goats, “God did by sending His own Son in the likeness of sinful flesh, on account of sin: He condemned sin in the flesh.” It was necessary for Christ to die because as the author of Hebrews says in chapter 10, “it is not possible that the blood of bulls and goats could take away sins.” Therefore, Paul writes in 2 Timothy 3 :16, “great is the mystery of godliness: God was manifest in the flesh, Justified in the Spirit, seen of angels, preached unto the Gentiles, believed on in the world, received up into glory.” It is this mystery that was hid from the foundation of the world, yet revealed though Christ. Ps 19:7 The law of the LORD is perfect, converting the soul: the testimony of the LORD is sure, making wise the simple. 8 The statutes of the LORD are right, rejoicing the heart: the commandment of the LORD is pure, enlightening the eyes. 9 The fear of the LORD is clean, enduring for ever: the judgments of the LORD are true and righteous altogether. 10 More to be desired are they than gold, yea, than much fine gold: sweeter also than honey and the honeycomb. 11 Moreover by them is thy servant warned: and in keeping of them there is great reward. Heb 7:18 For there is verily a annulling of the commandment going before for the weakness and unprofitableness thereof. What was annulled was the commandments pertaining to the prophetic ceremonial part of the Law pertaining to the Temple, priesthood, the sacrifices and oblations that were but shadows things to come, not the moral part of which the psalmist speaks. That is why Paul tells us that there are no laws that are against the fruit which comes by walking with the Spirit of God, because such fruit are actually a fulfillment of the righteousness thereof. Ro 8:3 For what the law could not do, in that it was weak through the flesh, God sending His own Son in the likeness of sinful flesh, and for sin, condemned sin in the flesh: 4 That the righteousness of the law might [should] be fulfilled in us, who walk not after the flesh, but after the Spirit. Eph 5:8 For you were sometimes darkness, but now are you light in the Lord: walk as children of light: 9 (For the fruit of the Spirit is in all goodness and righteousness and truth;) 10 Proving what is acceptable unto the Lord. Ga 5:22 But the fruit of the Spirit is love, joy, peace, longsuffering, gentleness, goodness, faith, 23 Meekness, temperance: against such there is no law. That is why Jesus stressed to His disciples that “your righteousness must exceed that of the Pharisees” who confidence was in their keeping the ceremonial part, but failed miserably in the moral part. For they would “clean the outside of the cup and of the platter, but within they are full of extortion and excess.” Their boast was in their piety while they were failing miserably in the weighty matters of the Law. The phrase “your righteousness” puts both ownership and responsibility to the disciples for their righteousness. Mt 5:20 For I say unto you, That except your righteousness exceeds the righteousness of the scribes and Pharisees, you shall in no case enter into the kingdom of heaven. Mt 23:23 Woe unto you, scribes and Pharisees, hypocrites! You pay tithe of mint and anise and cummin, and have omitted the weightier matters of the law, judgment, mercy, and faith: these ought you to have done, and not to leave the other undone. 24 you blind guides, which strain at a gnat, and swallow a camel. 25 Woe unto you, scribes and Pharisees, hypocrites! You make clean the outside of the cup and of the platter, but within they are full of extortion and excess. 26 You blind Pharisee, cleanse first that which is within the cup and platter that the outside may be clean also. One who is endeavoring to “keep the weightier matters of the law” will naturally be treating people the way they want to be treated, with love and respect. Likewise, those desiring to be children of God should desire to more like their Father . . . which comes into play when really trying to understand so as to apply Jesus’ words to one’s life. Mt 7:11 If you being evil, know how to give good gifts unto your children, how much more shall your Father which is in heaven give good things to them that ask Him? 12 Therefore all things whatsoever you would that men should do to you, do ye even so to them: for this is the law and the prophets. Certainly, one of the greatest promises revealed within the Gospel is that we can not only become children of God, but that we can also be partakers of His nature as well as conduits of His love to others. 2Pe 1:3 According as His divine power has given to us all things that pertain unto life and godliness, through the knowledge of Him who has called us to glory and virtue: 4 Whereby are given unto us exceeding great and precious promises: that by these We might be partakers of the divine nature, having escaped the corruption that is in the world through lust. But here comes the catch, because as it is often said when it sounds too good to be true there has to be a catch, in order to live in the fullness of this promise we need to hold fast to the only path that leads to life . . . as it is also the path our Lord and Savior walked. To walk with Christ one must enter in at the strait gate and not the wide one. The wide one has many well trodden paths seemingly going off in every direction, but they all lead to destruction. It is through the strait gate alone one finds the path that leads to life. Matt 7:13 Enter you in at the strait gate: for wide is the gate, and broad is the way, that leads to destruction, and many there be which go therein: 14 Because strait is the gate, and narrow is the way, which leads unto life, and few there be that find it. That simple little word “strait” is read by many and understood as “straight.” But that is not what Jesus said nor implied. What is interesting is that the Greek word translated “strait” actually means “narrow” and is only used three times in the whole New Testament and everywhere translated “strait.”It is used twice here in Matthew and once in Luke being recorded in the same discourse. So, was Jesus saying we needed to enter in through the narrow gate and take the narrow path? If both the gate and path are to be understood as “narrow,” why then is a different Greek word used when describing to the path? To be honest, I cannot provide an answer for the translators’ actions; I can only prayerfully endeavor to understand what exactly Jesus was saying if I want to be on this “path to life.” Now some would say, “William, you overly complicate it. Jesus is the gate and He is the path to life since He is Life.” To which I would reply that while the statement is true, it is not a complete statement of truth. Of course Jesus is the “strait gate,” but please tell me . . . how do we enter that gate? My personal conviction is this is a mystery God has chosen to partly hide from the half-hearted seekers of salvation. For many such “believers” live by the motto, the easier the path the better. They readily embrace the thought of just “accepting” Jesus as their Savior and receiving the free gift of eternal life, but that is all they the requirement they want or are willing to put into their relationship with Christ. Sadly many have never done more than that and little do they know that theirs therefore is “another Jesus” sold to them in “another gospel” by “another spirit,” (2 Cor. 11:4). Little do such people realize that they have actually gone through the wide gate and are on just one of the many trodden down trails on the broad path to destruction because they received not a love/commitment to Jesus the Truth. However, I do believe that the Holy Spirit truly guided the translators when they wrote “strait,” but one must be willing to pick up their cross and follow Christ or they cannot enter through the gate, come after Him and be His disciple. Lu 14:26 If any man come to Me, and hate not his father, and mother, and wife, and children, and brothers and sisters, and even his own life also, he cannot be My disciple. 27 And whosoever will not bear his cross and come after Me cannot be My disciple. Picking up our crosses and following Christ is requisite because Jesus picked up His cross and with it blazed a path that leads to life for all that would follow Him as their Captain of Salvation. But that path is not a straight and narrow one that can be looked way down the narrow way. No, it is a “strait” gateway that leads from one place to another. It is a strait not unlike the one connecting to large bodies of water that can be successfully navigated with care, but for the careless, they will find themselves shipwrecked. Lu 12:49 I am come to send fire on the earth; and what will I, if it be already kindled? 50 But I have a baptism to be baptized with; and how am I straitened till it be accomplished! Narrow – < thlibo>; to crowd (literally or figuratively):–afflict, narrow, throng, suffer tribulation, trouble. This Greek word appears ten times in the New Testament and is only here in Matthew interpreted “narrow,” which leaves most of us here in the Western English speaking culture with a mere impression of a constricted passage. Many concluding it only implies that Christians some of the things that everyone else does may not be acceptable for them to do. While that aspect of being a Christian is certainly true, it is not to the magnitude which Jesus’ words were intended to forewarn here. Let’s look at some of the other usage of the word. In one place < thlibo> was translated “throng,” something Jesus was seeking to avoid after He had healed many and the masses were beginning to “crowd” Him; a suggested translating by Strong. However, this isn’t just a gathering of people, this is an out of control mass pressing hard to get to Jesus so as to touch Him to the point of showing no regard or care for others. 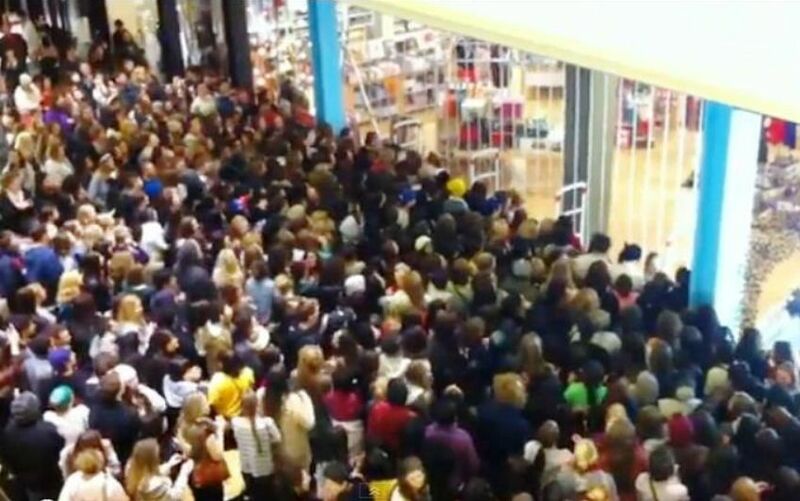 Perhaps the best way to understand the inference here is to think of the insane craze shoppers as they break open store doors and stampede over each during the holiday frenzy. The use of this word < thlibo> hardly conveys a peaceful walk down the path that leads to life. Mr 3:9 And He spake to His disciples, that a small ship should wait on Him because of the multitude, lest they should throng <thlibo> Him. 10 For He had healed many; insomuch that they pressed upon Him for to touch Him, as many as had plagues. In three places we find the word translated “afflicted,” the first being in 2 Corinthians where Paul mentions how he and the other ministers with him had endured affliction of the same nature that Jesus endured, this we know from the verse before it. 2Co 1:5 For as the sufferings of Christ abound in us, so our consolation also aboundeth by Christ. 6 And whether we be afflicted <thlibo>, it is for your consolation and salvation, which is effectual in the enduring of the same sufferings which we also suffer: or whether we be comforted, it is for your consolation and salvation. Paul mentions these suffering and afflictions in several places throughout his epistles almost as if they were his trophies, as well as necessities for ministering to others. 2Co 4:8 We are troubled on every side, yet not distressed; we are perplexed, but not in despair; 9 Persecuted, but not forsaken; cast down, but not destroyed; 10 Always bearing about in the body the dying of the Lord Jesus, that the life also of Jesus might be made manifest in our body. 11 For we who live are always delivered unto death for Jesus’ sake, that the life also of Jesus might be made manifest in our mortal flesh. 12 So then death works in us, but life in you. Col 1:21 And you, that were sometime alienated and enemies in your mind by wicked works, yet now hath He reconciled 22 In the body of His flesh through death, to present you holy and unblameable and unreproveable in His sight: 23 If you continue in the faith grounded and settled, and be not moved away from the hope of the gospel, which you have heard, and which was preached to every creature which is under heaven; whereof I Paul am made a minister; 24 Who now rejoice in my sufferings for you, and fill up that which is behind of the afflictions of Christ in my flesh for His body’s sake, which is the church: 25 Whereof I am made a minister, according to the dispensation of God which is given to me for you, to fulfill the word of God. The author of Hebrews uses the Greek word <thlibo> in the Faith Chapter speaking of those who were afflicted for their faith “of whom the world was not worthy” because for their faith they were forced to leave their homes and properties. Is this the strait gate and narrow path? Heb 11:37 They were stoned, they were sawn asunder, were tempted, were slain with the sword: they wandered about in sheepskins and goatskins; being destitute, afflicted <thlibo>, tormented. 38 (Of whom the world was not worthy:) they wandered in deserts, and in mountains, and in dens and caves of the earth. 2Co 7:5 For, when we were come into Macedonia, our flesh had no rest, but we were troubled <thlibo> on every side; without were fightings, within were fears. 1Th 3:4 For verily, when we were with you, we told you before that we should suffer tribulation <thlibo>; even as it came to pass as you know. In light of these verses, I am compelled to ask why is it so many Christians believe that they are going to escape such trouble, persecution and tribulation? How is it so many are still ignorant of the cost of being a disciple of Jesus Christ? Do they really think there is a difference between being a disciple and a Christian? Have the churches so wholesaled Jesus to the masses trying to win members that they’ve too have failed to become disciples living under the discipline and leading of the Spirit? Lu 14:27 And whosoever does not bear his cross, and come after Me, cannot be My disciple. 28 For which of you intending to build a tower does not sit down first and counts the cost as to whether he have sufficient to finish it? 29 Lest haply, after he has laid the foundation he is not able to finish it and everyone that beholds it begin to mock him, 30 Saying, “This man began to build, and was not able to finish.” 31 Or what king, going to make war against another king does not sit down first and consults as to whether he will be able with ten thousand to resist him that comes against him with twenty thousand? 32 Otherwise while the other is yet a great way off he sends an embassy and desires conditions of peace. 33 So likewise, whosoever of you that forsakes not all that he has cannot be My disciple. Sisters and brothers, before it gets too much later we need to sit down and recount the cost of being a disciple of Jesus Christ. We must count the cost and forget about keeping any change, for He who gave it all requires of His followers that they too forsake all. All our substance, time, skills, talents and energies are to always be ready for disposal and disbursement to the cause of Christ. Luke 14:34 Salt is good: but if the salt have lost his savor, wherewith shall it be seasoned? 35 It is neither fit for the land, nor yet for the dunghill; but men cast it out. He that hath ears to hear, let him hear. The only way to life is through that strait gate and down that narrow path which so few are willing to travel and endure. This is the path that King David referred to as the path of righteousness that runs through the Valley of the Shadow of Death. It was there where he learned to trust the Lord as He fully restored David’s soul from that of a mere fallen worldling once sold under sin to a true seasoned man of God. Divinely tore down and properly built up, rooted and grounded in truth and faith walking humbly with God. 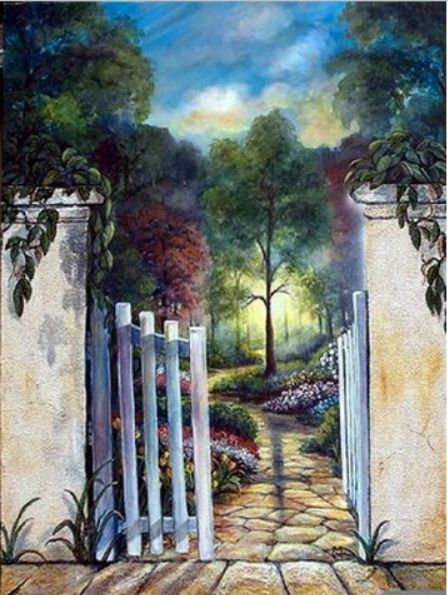 Through this strait gate and down this narrow path runs the path of righteousness that leads to life . . . it is only there we truly learn the importance of doing for other as we would they do for us. Let’s pick up our crosses therefore and follow Christ, giving Him the opportunity to complete that which He has begun in us. Live for Jesus Christ the King.